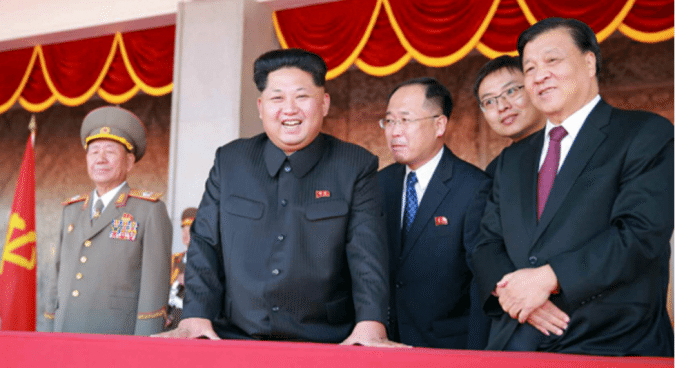 North Korea will hold the seventh Congress of Workers’ Party of Korea (WPK) in early May 2016, according to a Korea Central News Agency (KCNA) report on Friday. It is the first time after the meeting will be held in 36 years, after the sixth congress in 1980. Praising the achievements for 70 years since the establishment of the WPK, the statement says the DPRK will “hasten the final victory in the revolutionary cause of Juche under the guidance of Kim Jong Un”. “The Political Bureau of the WPK Central Committee decides to convene the 7th Congress of the WPK early in May Juche 105 (2016), reflecting the demand of the party and the developing revolution that witness epoch-making changes in accomplishing the revolutionary cause of Juche,” the statement adds. North Korea also organized WPK Conferences in 2010 and 2012. “The conferences (are used to) discuss and decide the party’s policy and important issues on strategy and tactics, between the congresses,” a report by the Institute for Unification Education published last year reads. At the third conference in 2010, the North removed the regulation of hosting the larger Congress events every five years. “(In 2010 and 2012) the North Korean economy didn’t overcome its slump, the WPK leadership had to be satisfied with hosting the WPK Conference, which is kind of a ‘temporary congress,'” said Cheong Seong-chang, head of the Unification Strategy team at the Sejong Institute. In the sixth congress, Kim Il Sung’s Juche ideology was confirmed as the sole leadership ideology of the party, stating the “Juchization of the of the whole society” and “establishment of the communism society,” as the ultimate purpose of the party. The unification agenda, entitled “the Democratic Confederal Republic of Koryo” was also stated and Kim Jong Il’s role as the next leader was clarified at the congress in 1980. Cho Han-bum, senior researcher from North Korean Studies Division at the Korea Institute for National Unification expected that during the Congress, Kim Jong Un will focus on the economy and generational shifts, echoing his message at the military parade on October 10. The fourth and fifth congresses both put forward long term economic development plans and the WPK’s rules have also been revised every congress. “Kim Jong Un should propose a new economic development plan, with reforms and open market policies. It is remarkable to see the level of reformation,” Cho told NK News. Seoul’s Ministry of Unification commented on the congress, saying it seems to have been decided based on North Korea’s domestic affairs and foreign relations. Subscribe to read the remaining 467 words of this article.